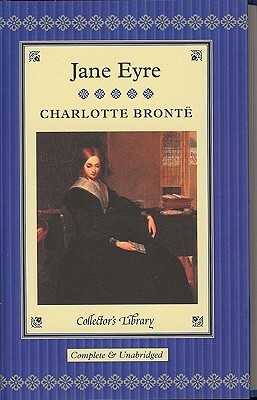 Part fairytale, part Gothic horror, part love story, Jane Eyre remains one of the most compelling novels ever written. After running away from her unloving and cruel aunt, the orphaned Jane endures a harsh existence at an Evangelical school, where she at least finds some friends and kindness. When she comes of age, she takes a position as governess to the children of the moody, Byronic Mr. Rochester. As time passes, she begins to fall deeply in love with her magnetic employer...but soon realizes that both he and his dark and shadowy mansion hide a terrible secret. The world's greatest works of literature are now available in these beautiful keepsake volumes. Bound in real cloth, and featuring gilt edges and ribbon markers, these beautifully produced books are a wonderful way to build a handsome library of classic literature. These are the essential novels that belong in every home. They'll transport readers to imaginary worlds and provide excitement, entertainment, and enlightenment for years to come. All of these novels feature attractive illustrations and have an unequalled period feel that will grace the library, the bedside table or bureau.